From dust bowl to carbon sink: the potential of conservation agriculture – One Billion Hungry: Can We Feed the World? How to prevent the next “Global Dust Bowl”? – Ecological and Economic Strategies for Sustainable Land Management in the Russian Steppes: A Potential Solution to Climate Change was produced by Kulunda, an interdisciplinary project on sustainable land management. The Kulunda Steppe in Siberia close to the border with Kazakhstan has dry continental climate conditions. 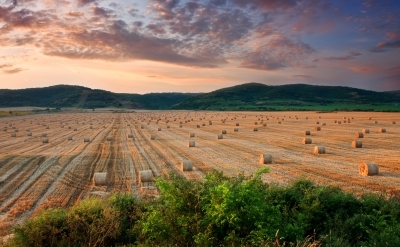 In the 1950s about 420,000km2 of natural grassland were converted to farming. In recent decades crop yields have been continually declining as a result of low soil fertility and carbon, wind erosion and drought, and today some 50% of these lands are degraded. Because of the arid climate the soil neither stores water nor nutrients well and conventional agricultural methods are failing leading to the out-migration of young people. At Martin Luther University in Halle-Wittenburg, Germany, a global team of researchers are being coordinated to understand and tackle these land-related challenges in the Kulunda Steppe. They aim to naturally build the soil’s capacity to store nutrients and carbon dioxide. In 2011 the testing of conservation agriculture in the region led to significant increases in productivity, improving yields by around 20 to 25%. The project is ongoing and if implemented on a large scale, conservation agriculture is likely to lead to renewed rural development and have significant impacts on mitigating global climate change. For further information on conservation agriculture see this publication by Howard G. Buffett entitled, Ten Truths about Conservation Agriculture and Smallholder Farmers.